Have you ever wondered why people keep repeating the same thing in conversations over and over? If you’re anything like me, you can't ignore the content of conversations because you know that language can be a window to the mind. People repeat what they say for a number of reasons in a variety of contexts. I’m only concerned here with those instances where what they say over and over can provide clues to their psychological makeup. First off, I want to be clear as to what specific instances I’m talking about. I’m not talking about instances where a person repeats something in a conversation because they feel they've not been heard- a person repeating their point in a debate, for example. I’m also not talking about instances where it’s obvious why the person is repeating himself or herself. An example would be a child repeatedly asking for candy when her mother clearly has no intention of giving her one. I and a few classmates were working on a group project in the last semester of my undergrad. We had two assessments for the project work- minor and major. During the minor assessment, our professor pointed out a shortcoming in our project work. It’s natural to feel bad (no matter how slightly) when you experience something like this but what I noticed was that not all of us in the group were affected in the same way by that remark. While most of us forgot about it soon after, there was this one girl in our group who was clearly more affected by it than the rest of us. How do I know that? Well, after that incident she kept repeating what the professor had said to almost everyone she talked to, at least in my presence. So much so that she even pointed it out in our major assessment despite my warning of not revealing anything that may undermine our assessment. I was so intrigued and frustrated by this that I confronted her and said, rather angrily, “Why do you keep mentioning it to everyone? Why is it such a big deal to you?” She didn’t have an answer and was thrown into silence. Since then I’ve noticed many people, including myself, engage in the exact same behaviour. If someone tells you that your friend died in an accident and gives you a very detailed description of what happened, you’re unlikely to ask any more questions as you slip into a state of shock, disbelief, and even sadness. On the other hand, consider what will happen if you were only told that your friend died without anyone telling you why or how. You’d desperately ask the same questions over and over till your mind makes sense of the incident (with the help of relevant answers). This example is pretty straightforward where you’re repeatedly asking questions to get answers. But why would someone repeat something that is not necessarily a question? Again, the answer is the same. Their mind is trying to make sense of what happened. The issue is unresolved in their mind. By repeating the same thing over and over, they want to resolve it and do away with it. Many things that we encounter on a daily basis get easily resolved (I fell because I slipped, he laughed because I said something funny, etc.) but some things are not so easily resolved and leave deep impressions on us. Consequently, our minds get stuck in this loop of trying to make sense of them because they haven’t yet made full sense to us. A person who has had a traumatic experience in the past may keep acting out these traumas in their dreams.1 Only by talking about the trauma repeatedly, trying to make sense of it can they hope to end these dreams. When we hear the word trauma we tend to think of some major unfortunate incident but trauma also comes in other, minor forms. That remark our professor made was traumatic for the girl who went on to tell everyone about it. When people get close to each other in relationships, they often talk about their bad past and childhood experiences. They may not overly express how traumatized they were by those experiences and may even try to portray the instances as entertaining or interesting but the fact that they’re repeating these stories is a strong indication that they were traumatized by them. 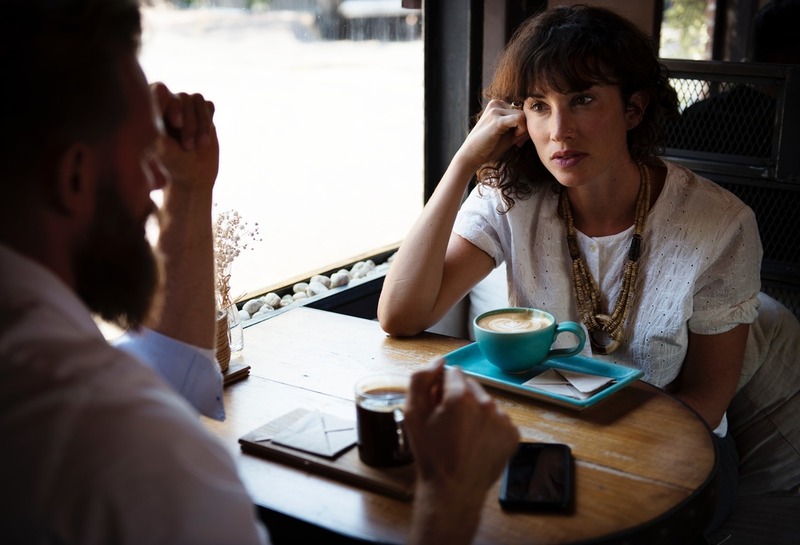 Next time your friend says, “Have I told you this before?” say "No" even if they have just to get a better understanding of their psychology. "There you go- that story again. Time to feign interest. Time to make mental notes." Often, the bad experiences that a person is trying to make sense of by talking about it repeatedly involves self-blame. On a deep level, the person thinks that they are somehow responsible for what happened to them or at least had a part in it or could have avoided it somehow.2 So when they are telling their story it’s likely that they’ll try to justify themselves. In doing so, they may even distort the story and narrate it in such a way that clears them of any blame and showcases them as victims. Why do they do this? We are always trying to project a good image of ourselves to our fellow humans, especially those who matter to us. If there’s something in our recent or distant past that has the potential to degrade our image, we make sure that they know that we’re in the clear and not to blame for it. This paradoxical situation of blaming oneself and then trying to vindicate oneself usually happens on an unconscious level so it’s no wonder that people keep repeating this behaviour without stopping to self-reflect. It’s important to remember that these instances that people repeatedly talk about may not necessarily be traumatic. It could be anything they haven’t yet made full sense of. When that girl in our group project repeated the professor’s remark it didn’t traumatize me but it left an impression still. At the time, I wasn’t able to make sense of it. Therefore, my mind kept replaying the incident over and over and I might as well have told the same story to others over and over but I didn't. Luckily for them, I am too self-reflective to engage in behaviours that may reveal my psychology so I spared them the boredom. I've finally told the story and attempted to make sense of it via this article. 1. Mellman, T. A., David, D., Bustamante, V., Torres, J., & Fins, A. (2001). Dreams in the acute aftermath of trauma and their relationship to PTSD. Journal of Traumatic Stress, 14(1), 241-247. 2. Davis, C. G., Lehman, D. R., Silver, R. C., Wortman, C. B., & Ellard, J. H. (1996). Self-blame following a traumatic event: The role of perceived avoidability. Personality and Social Psychology Bulletin, 22(6), 557-567.